About a month ago I wrote a blog about how I had wanted to start trying new restaurants because I’m tired of always eating at the same places, well when I actually get the chance to eat out that is. Well I mentioned in that previous post, check it out here: https://rachelclearyblog.wordpress.com/2013/10/04/louisville-lunch/ , that I had a new favorite restaurant. Well, I’ve changed my mind. My new favorite restaurant is…. 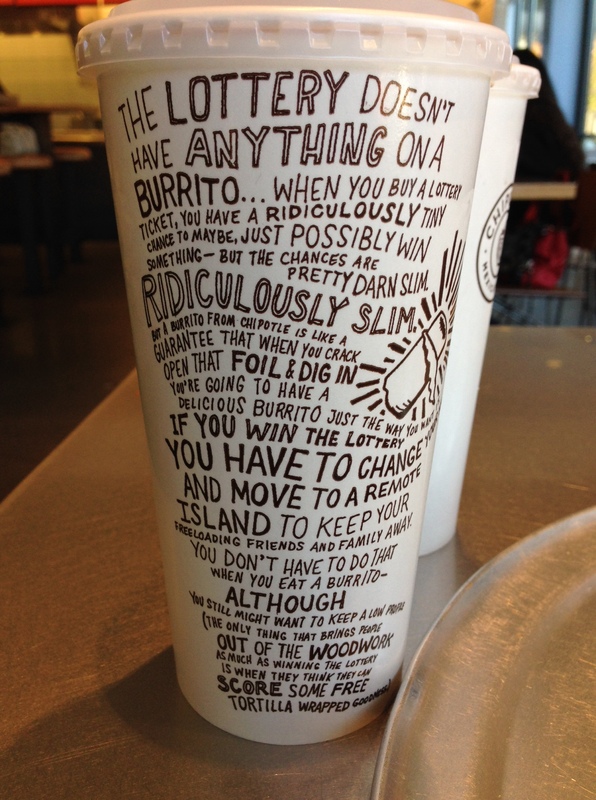 That’s right Chipotle! 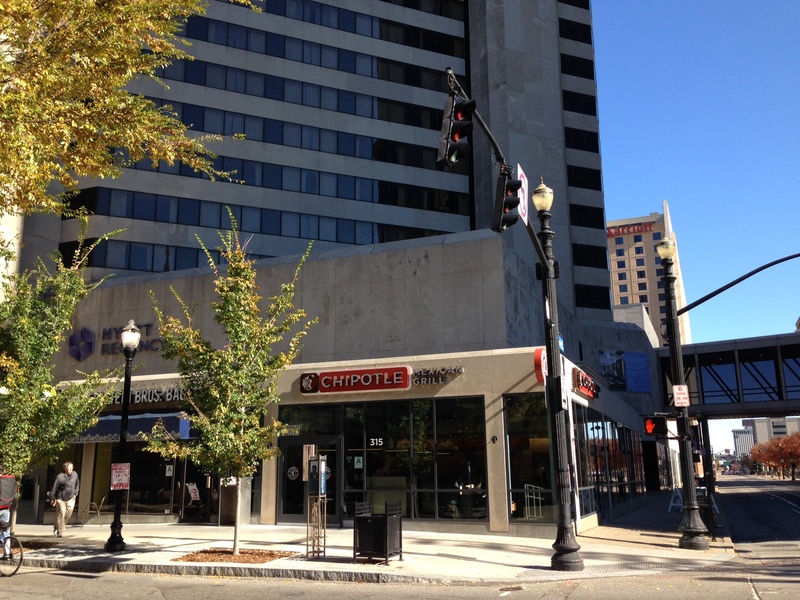 If you’re not familiar with Chipotle, which you may not be, because there is only one in Louisville! Well, technically there are two now, but I’ve never been to the other one and it’s like brand new. Plus I just love the atmosphere of this particular one since its downtown. But anyways it’s obviously a restaurant; it is located in downtown Louisville, Ky., right past Fourth Street live. It’s literally right on Fourth Street. 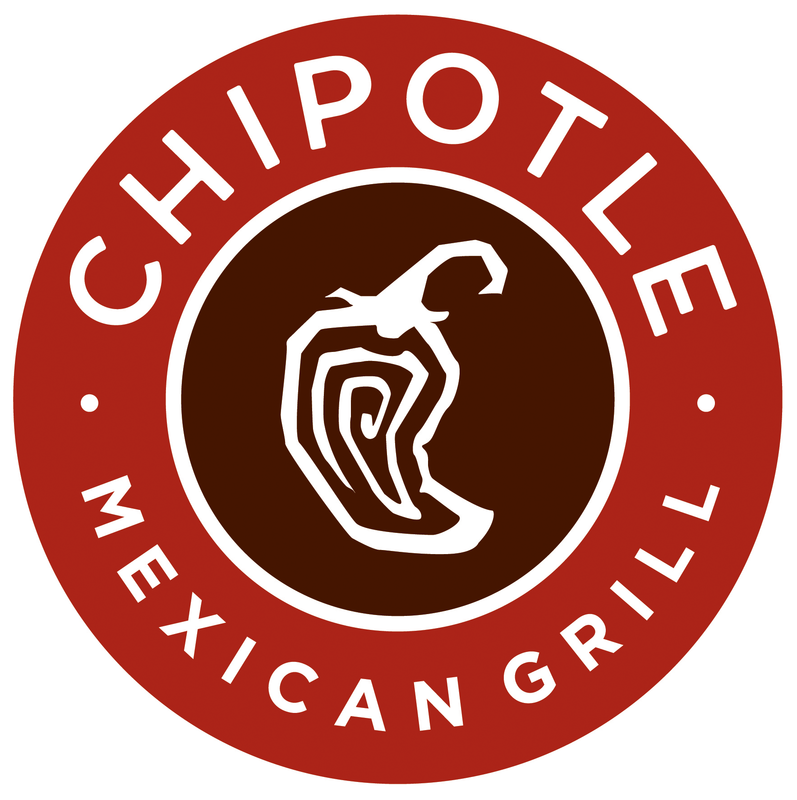 Chipotle serves Mexican gourmet burritos and tacos, made exactly with the fresh ingredients you want. 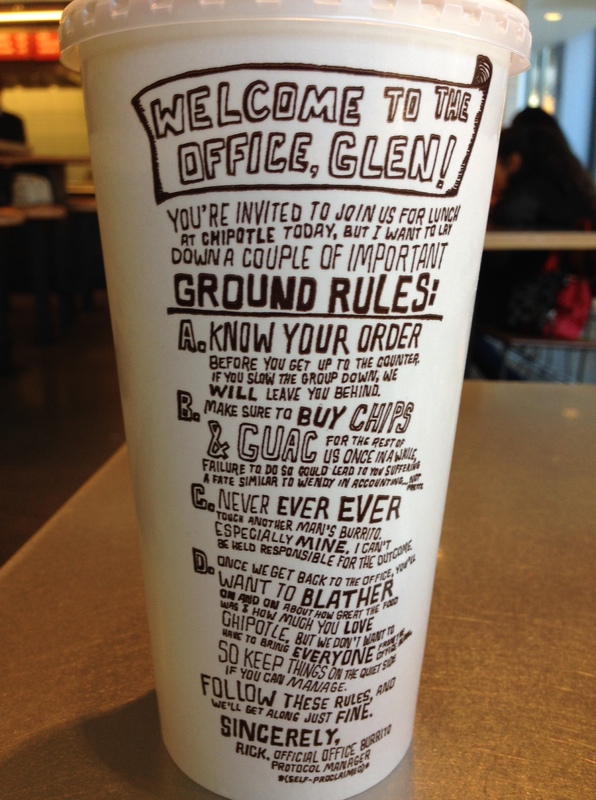 I’ve always been a big fan of Mexican food anyways, but Chipotle takes it to a whole new level! 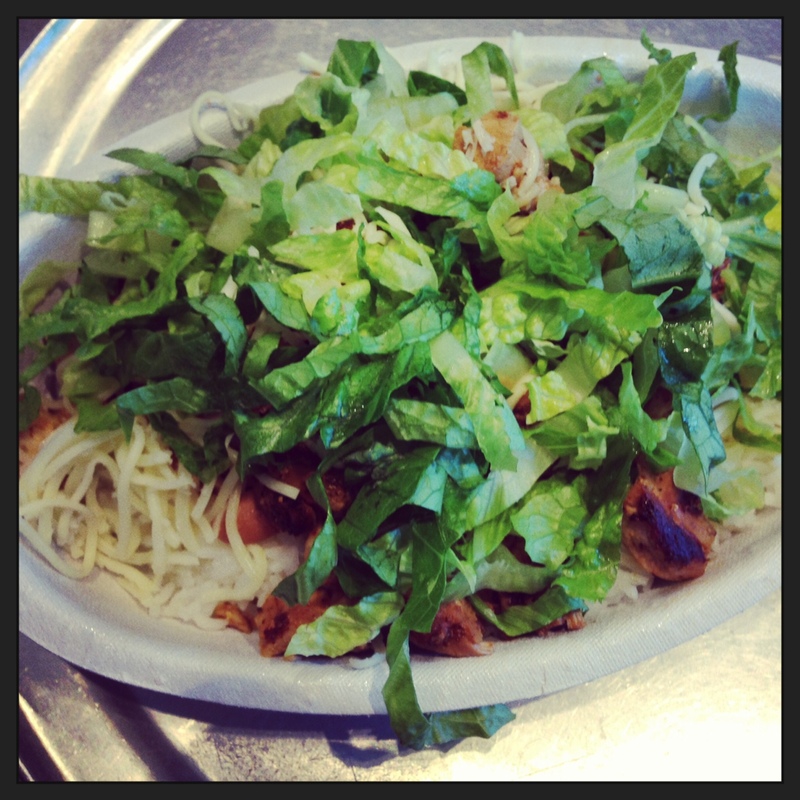 Instead of a traditional burrito, they have these awesome burrito bowls that they fill with any ingredient you choose. If you check out the picture I took of the one I made, it has: white rice (it’s usually cilantro rice but I’m not a fan), refried beans, seasoned chicken, lettuce, and cheese. Yes, I like mine pretty simple, but the possibilities of ingredient combinations is endless. Oh my, I just seen on the website that they are starting to cater events now too, I would definitely be at that event!